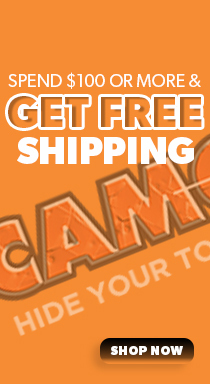 Show your love for the outdoors on your truck or SUV with the Camowraps® Vent Visor Kit with Realtree® Camo. This easy-to-use kit is designed to fit most vehicle visors. Made from high tensile strength 3M Cast vinyl. Kit includes: (2) 6" x 84” pieces. Matte finish. To apply the Camowraps® Accent Graphics to the Vehicle, peel back the adhesive liner several inches and align the Accent piece and tack in place using light finger pressure. If alignment is off, remove and reposition before squeegeeing. You may “Peel-N-Stick” the Camowraps® Accent Graphics if you feel comfortable in doing so, by simply peeling the entire backing off and sticking the Accent Strip piece down and start squeegeeing. This technique is not recommended for everyone. Once tacked in place and the alignment is good, and then firmly squeegee the Camowraps® Accent Graphics to the Vehicle working out any excess air or bubbles. If a bubble appears, simply use an air release tool to poke and release the trapped air. Make sure to come back and squeegee the poked hole with light to moderate pressure and heat if necessary. You may apply some heat to lightly stretch the Camowraps® Accent Graphics around curves, bends or raised areas. 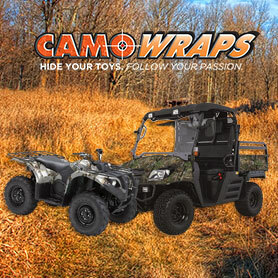 When applying heat make sure not to over stretch the Camowraps® Accent Graphics as it will fade, crack, or wrinkle. When application is complete, re-heat and re-squeegee all of the applied surfaces with firm pressure. Pay particular attention to the edges and seams. This will ensure the Camowraps® Accent Graphics is bonded to the Vehicle itself.